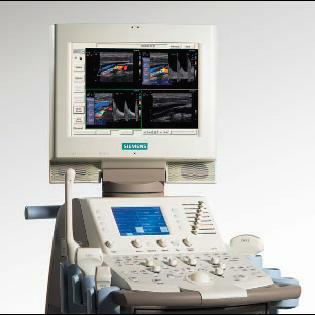 The SONOLINE G20� ultrasound system quickly distances itself from the competition with next-generation all-digital system rchitecture that utilizes Siemens technology migration. The new SONOLINE G40� ultrasound system brings the benefits of Siemens core technology migration to an entirely new level of diagnostic performance and workflow efficiency, all in an ultra-portable system that meets your clinical needs. With a comprehensive range of features including color Doppler and pulsed-wave Doppler capabilities, the G40 system sets a new performance standard in the world of compact, mobile, color Doppler ultrasound systems. 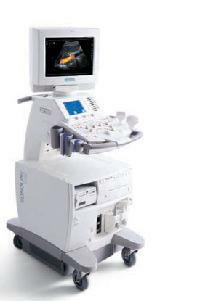 SONOLINE G50 system New fourSight� 4D ultrasound imaging technology and inMotion�software upgrade for the SONOLINE G50� ultrasound system enhances performance and streamlines workflow for added clinical utility and improved patient care. In addition to excellent imaging performance and a high level of standard features, the G50 system is unique in its individual scalability. Depending on your clinical needs, you can add individual features including additional array and sector transducer port options and an echocardiography package. The system can be customized with additional clinical and workflow functionality migrated from other Siemens ultrasound systems. Siemens designed the G50 system with your workflow needs in mind. It supports confident decision making with exceptional image quality, highly intuitive operating principles and a classically comfortable user interface. 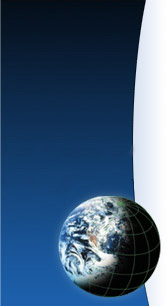 The G50 system is a complete all-digital technology platform. It offers the power of individuality, allowing you to choose the customized imaging solution that fits your needs. Productivity tools such as the DIMAQ-IP integrated workstation with embedded DICOM connectivity, stress echo capability and innovative features like SieScape� panoramic imaging can all be integrated seamlessly. Superior performance, streamlined workflow, and maximum clinical confidence are now available in one powerful multi-specialty platform. 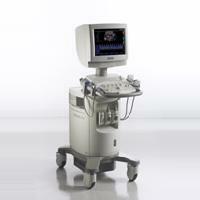 The next generation SONOLINE G60 S� ultrasound system is more capable, more customizable, and easier to use than ever before. Designed with the busy clinical professional in mind, the G60 S system is built to accommodate a broad range of clinical applications.